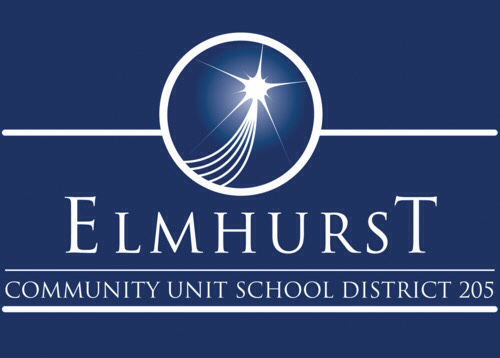 ELMHURST – Scurrying to unburden themselves as quickly as possible from a bonanza of more than one million dollars, and challenged to dredge up a pool of “rock star” candidates presumed to still be jobless in July and simply waiting for the right opportunity to come along, Elmhurst District 205 begins the interview process this week to hire and place up to 12 full-time equivalent instructional coaches within all of its school buildings by the start of the 2016-17 school year. Spearheaded by Superintendent Dr. David Moyer and the ghost of Assistant Superintendent of Learning and Teaching Michelle Fitzgerald, the maniacal strategy to expunge an unanticipated additional payment from the state of Illinois by spending it on instructional coaches was approved by the Board of Education last month in a 6-1 vote and includes converting existing technology coaches into IC’s and promoting internal candidates. Fitzgerald, who was summoned by the wizardly Dr. Moyer to eliminate the puzzling extra payment as if it was blood money, delivered an impassioned speech to members during the June 14th board meeting, selling them on the expanded role of instructional coaches in District 205, what it will take for them to succeed, and what her role will be in preparing them for the upcoming school year. Fitzgerald is actually back in Elmhurst this week to help with the interview process of hiring instructional coaches and is looking forward to “having a good laugh” with board members who put their “necks on the line” by believing she would follow through with her commitment to go on a week-long retreat this summer with the new IC’s and to lead the program during the school year with various forms of follow-up. District 205 will begin interviewing for Fitzgerald’s replacement during the week of July 11th. 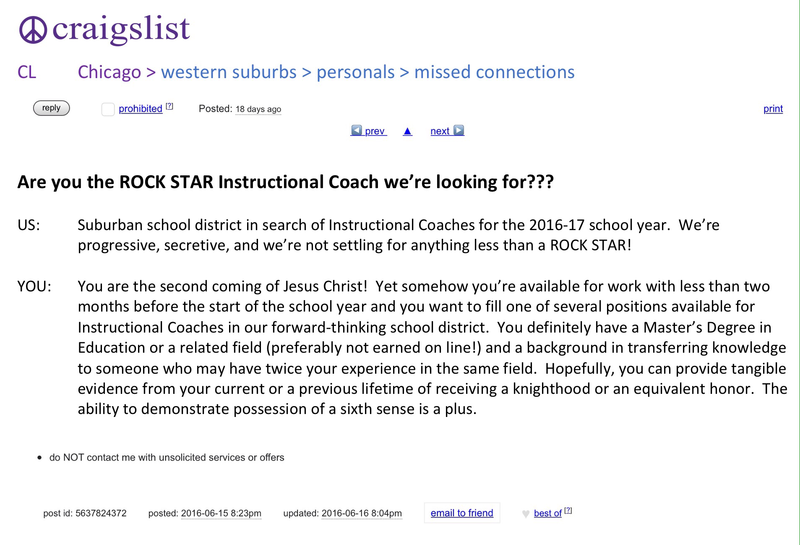 A copy of the District 205 Craigslist posting is below.